Many times, I think, you have read me talk about differential geometry without, at bottom, understand what the heck I’m talking about, so the time has come to explain a bit of what this beautiful subject is going. Geometry, as its name implies, speaks of forms, is the part of mathematics that studies points in space and what, as a set of points, form. That is, straight lines, curved lines, planes, spheres, toroids … geometry studies them, studies their properties, their representations, the passage from some types to others, their relationships (that happens with a straight and a plane, for example), etc. Geometry has been basic in many fields, for example, the plane you have when you open your browser to help represent this in a simpler way, to, for example, helps us to know how much light a tile receives from our house to Treat light and tile geometrically. Or even helps us to launch a rocket and get to the moon because it is the basis of what helps us to know, calculate and correctly represent the trajectories of all the objects that are there (Earth, Moon, rocket … ). The geometry is very old and we have to thank the Greeks. Greeks like Euclid, a mathematician, devoted himself to studying the relationships between two-dimensional objects in vector form and, on the basis of geometry in the three axes we see every day: x, y and z, high, long and wide. Euclidean geometry is the basis. The basis of the Euclidean geometry is based on some postulates, where the most famous is that for a point that does not belong to a straight line only passes a straight line parallel to the first. The postulates of Euclid are all totally necessary since they can not be given without the others and are, as I said, basic. Everything went very well until Newton arrived and began to look at the paths that follow the bodies, which do not have to be rectilinear and began the so-called differential calculation. Newton, together with Leibniz in the seventeenth century, were the creators of differential geometry mainly by observing curved paths and calculating them. 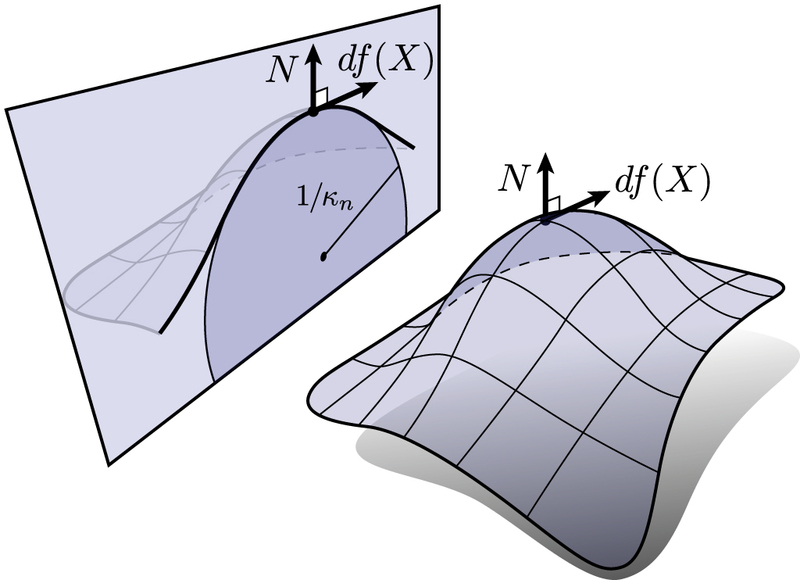 The calculation of the curvature of a curve is made through its first differential knowing that the differential is the tangent line to a curve at a point and therefore what varies this differential as soon as the point in the line changes gives us its Degree of curvature. It is simple. And that’s why they are considered the parents of differential geometry. After this important advance in trajectories, the obvious step was to do the same for surfaces. Clairaut in the eighteenth century was the first to realize that any surface can be calculated as the solutions of an equation in three dimensions (ie with three unknowns). That is, if we have a unique equation with three unknowns (and hence two parameters), the result of that equation is a surface. With this basis, smaller order surfaces can be calculated (for example a line is nothing more than the solution -in three dimensions- of a system of two equations with one parameter or one degree of freedom). Together with Clairaut we have Euler, the father of realizing that we live in a sphere and that apart from the three axes we can calculate and see things with another system of reference, the geodesics. That is, he simply realized that on a sphere (imagine in two dimensions) is just as valid, faster and easier to do calculations to have as coordinates the distance and the angle. In three dimensions, it happens exactly the same and hence we use latitude and longitude that are no more than the angles to locate a point on the globe. Easy peasy!. From now on we have one step and it is that (Euler already started) we can calculate surfaces and trajectories in another type of base (reference system) through different surfaces as solutions of equations in those systems. That is, we join all the previous steps. So, if we take non-Euclidean systems we have to repeat everything that this did by studying the properties of objects, surfaces, etc. and at the same time calculate forms and trajectories in them. The study of these functions and properties of each type of geometry and its objects is what differential geometry is about. There are adalides like Gauss that I observe that although we use the system we want there are certain properties that are invariant. That is to say, he saw that under certain transformations the properties do not vary, a great base that greatly simplifies the calculations. Either we have Lobachevsky and Bolyai which demonstrated that there are certain types of geometries in which the base postulate of Euclid was not valid, that is, at one point they can pass more than one parallel to another being this a particularity of Euclidean geometry. Finally, we can not speak of geometry (differential) without mentioning Riemann (19th century). Riemann laid the basis of the description of any geometry, that is, laid the basis for the way in which a geometry must be described in order to be able to do all that we have seen, to calculate its properties, objects, points, applications, functions … for it simply give a variety of elements and their coordinates in the reference system that we believe, and explain how the distance between them is calculated. The secret is that infinitely close points or varieties (we go as close as we want) are to be counted according to Euclidean geometry, closing the circle of calculations. Differential geometry is very important because, because we can define new geometric spaces (for example, as we have seen, a sphere world, a world in a toroid -donut-, a moebius strip…) we can see, calculate, Of spaces of infinite dimensions (mathematically speaking). The practical example is that thanks to differential geometry Einstein was able to launch his theory of relativity by being based on a four-dimensional space with a particular topology and geometry or string theory to rely on hyperspace with its properties. Differential geometry helps people of science to create new spaces that are better adapted to reality so that calculations can be simpler and results, therefore, easier to understand at the same time as they can be “transferred” To more complex but understandable forms for the people of the street. And the heroes of whom I have spoken have been, in part, the creators of the necessary bases to be able to carry it out with rigor. It is a very hard discipline as it requires having an open mind and imagination so that it helps to mentally represent different topological spaces that we are accustomed to see all day.